Below, we take a look at 30 stunning examples of Japanese design, from shop interiors to vending machines, toys to fancy dress costumes, web sites to packaging, and architecture to clothing. Japanese design is so fascinating because it’s wildly different to that which we’re used to seeing in the west. What’s more, it’s extremely varied, with sleek, minimal, futuristic creations on one side and super-cute, smiley, humorous designs on the other. The Japanese are also famous for the wackiness of their ideas and if that kind of thing floats your boat, you’ll find plenty of the like in this article, the Coca Cola robot being a prime example! We would love to hear some feedback, so please comment below. Children look on in amazement as the Cocoa Cola robot walks by. Talk about a great way to sell your products, kids can’t help but pump money into this incredible vending machine. The colors and plentiful negative space employed in this site design make for a thoroughly pleasurable user experience. The way the paper tag on the right drops and then swings when you roll over it is surprisingly realistic. Japanese architects have been responsible for some truly incredible buildings, but one of the most jaw-dropping of all is Tokyo’s National Art Centre, designed by Kisho Kurokawa. 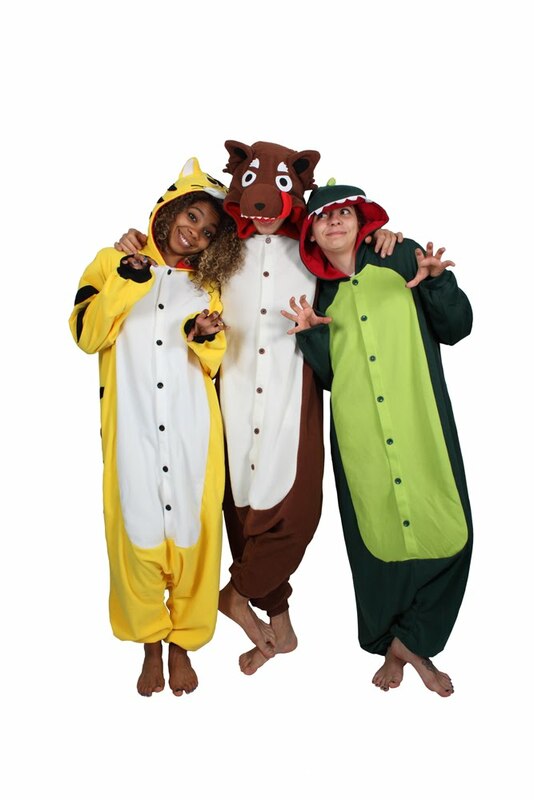 Kigurumi are a kind of Japanese animal costume worn for fancy dress parties and lounging around the house. There are tigers, dinosaurs, pandas and many more styles in the collection. They’ve been huge in Japan for years, but have only recently been made available in the west by UK company, Kigu. Higashiya, a confectionary shop and tea bar in Nakameguro, Tokyo, presents its beautifully designed treats in the most appetizing of ways. All of Honda’s motorcycles are expertly manufactured, but the designers went to town with the bike above. It’s a futuristic take on an old CBR 750 – a concept bike which offers infinite electronic tuning possibilities. I have to admit, due to my non-existent grasp of the Japanese language, I’m struggling to work out exactly what service this website provides. I do acknowledge, however, the superb design of its interactive map. How about this for amazing packaging? These cartons, designed by Naoto Fukasawa, look as they they’ve been made from folded banana skins. Japanese creativity knows no bounds. In the west, you’d have to be the biggest nerd of all time to get excited about a barcode, but in Japan they’re often rather more interesting. 40 ct 525 is a boutique clothing shop designed by Simplicity, the creative minds behind Higashiya. The minimal interior is quite stunning. 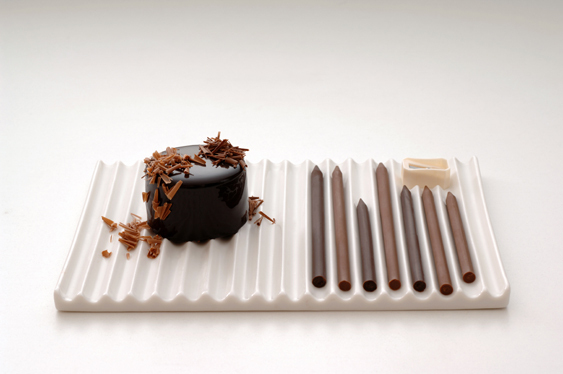 Chef Tsujiguchi Hironobu and architect and designer, Oki Sato, teamed up to design this chocolate pencil set, complete with sharpener for producing delicate chocolate flakes. The rotating wheel in the centre of this wonderfully designed site is a novel take on the navigation bar. Each page is weaved together in a thoroughly unique way. 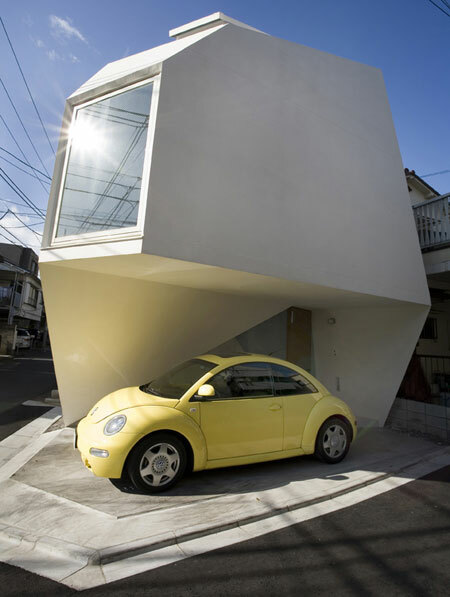 Atelier Hitoshi Abe’s Ftown Building, located in Miyagino-ku, Sendai, Japan covers 377 sq meters. Inspired by trees, its form is quite breathtaking. As anyone who’s ever visited a sushi restaurant will know, edamame are the delicious, salted beans served as an accompaniment to many Japanese meals. This edamame keychain, complete with removable smiling beans, has been a surprise global hit. While Honda comes up with stunning concept bike designs, Brat Style, a Japanese custom bike company, actually makes them. Customers can choose to have whatever they like on almost any bike brand. The vertical layout of this website for modern furniture company, Karimoku, works effortlessly. I love the way the navigation bar on the side seems to disappear and reappear just when you need it. Super Mario is the greatest of Shigeru Miyamoto’s creations for Nintendo. The character has endured for over 25 years and Super Mario Bros was the best selling video game until Wii Sports toppled it in 2009. Reflection of Mineral is an ultra-modern house built on a rather unassuming residential street in Tokyo. It was designed by Yasuhiro Yamashita from Atelier Tekuto. Streetwear is nothing short of an obsession in Japan and although many brands are imported from the USA, some do go the other way too. Japanese footwear brand, Visvim is one such label which has achieved success (and incredibly high prices) around the world. 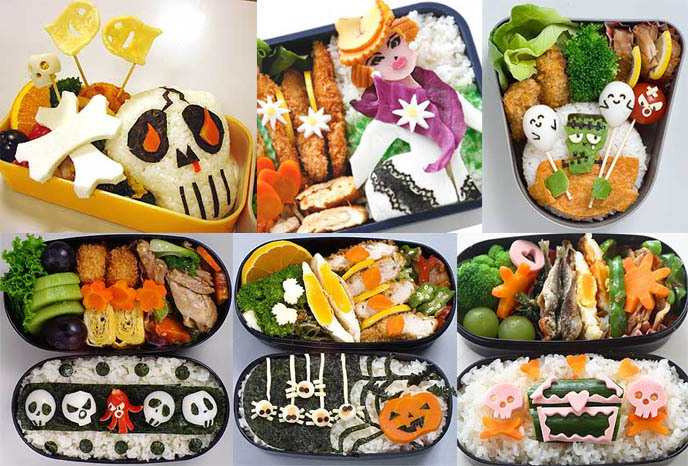 Bento boxes are a design feat in their own right, but they’re all the more interesting when people use theirs to create cute patterns, images and faces. 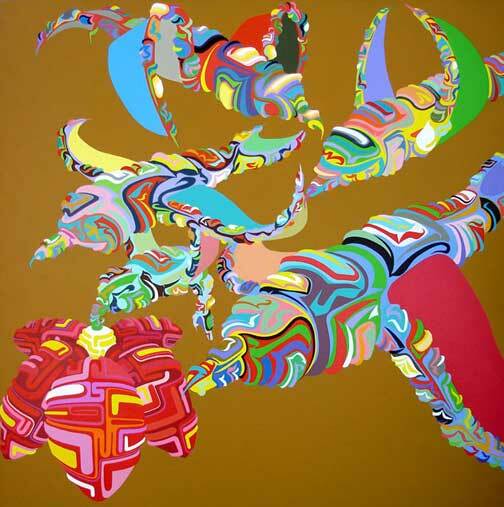 Kenji Hirata is a highly influential Japanese-born illustrator whose colorful works have inspired thousands. He now lives in New York. The Japanese are famous for their super-cute product designs. 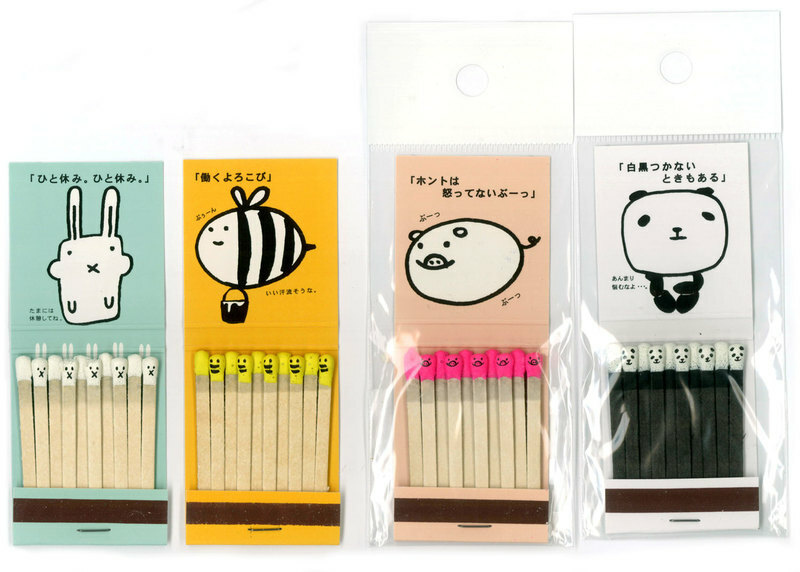 These matches are incredibly sweet, with smiley animal faces printed onto the match heads themselves. While mainly known for their anime, Japanese illustrators produce work far more varied than that. Above is one such example, but for lots more check out the Tokyo Illustrators Society. So simple, Hello Kitty, first designed by Yuko Shimizu in 1975, is one of the world’s most recognizable images, generating a fortune in licensing money each year. Hayao Miyazaki’s unbelievably good animated movies have made him famous the world over. Spirited Away, in particular, achieved mainstream success and recognition. 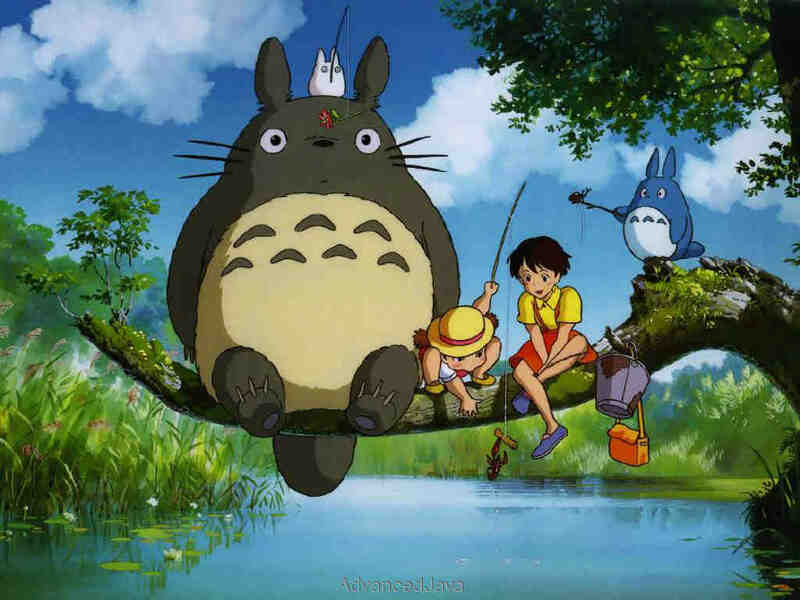 For me, however, My Neighbor Totoro is his greatest work. Superb backgrounds and well integrated videos mark this simple site out from the crowd. Tokyo Bike produces some of the most in-demand two-wheelers in the world. The one pictured above, the Tokyobike Sport, is one of the most attractive of all. They’re currently running pop-up shops in London and Sydney. Like barcodes, the Japanese are not satisfied if any element of their daily lives comes under-embellished. 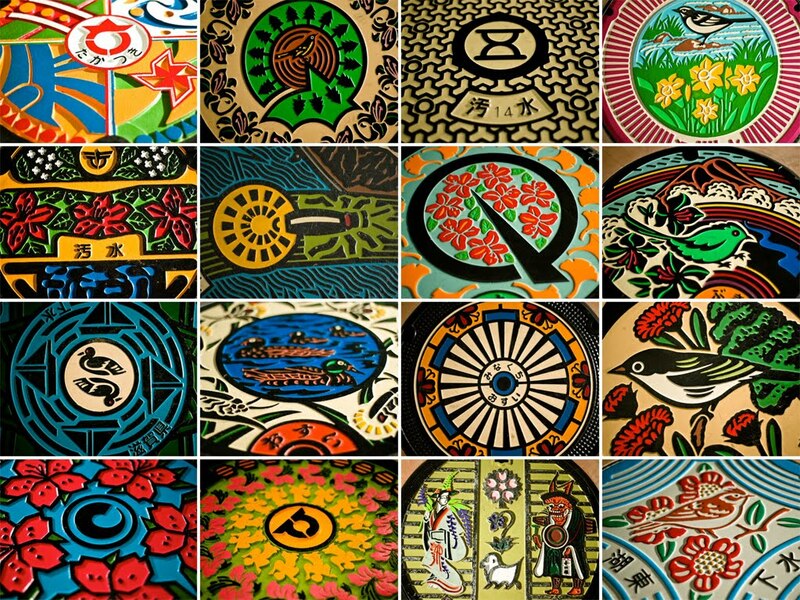 A select few artists have even taken to creating artwork on the manholes of Japan’s city streets. Kin ichi Ogata is a highly skilled Japanese furniture maker and interior designer. My favorite of his many pieces is the Beans Chair. The blocks of color and high-res background images on the Japan Association Press website should provide inspiration for all web designers/developers.